Thank you for this post. It saves me alot of time. I started experiencing this issue about 5 days ago. Now I'm fine as your solution fix the issue. THANK YOU. An unfortunate Windows10 update issue (yet again). 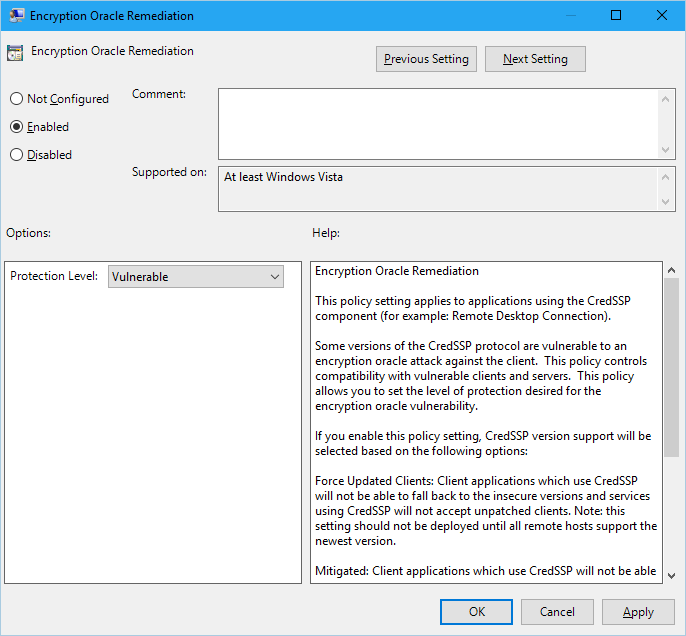 Thanks this worked for me on one PC, but i have another system it doesn't have Encryption Oracle Delegation under Credentials Delegation what can i do for that i am still unable to use remote on that? I am also facing the exact same issue but I am unable to fix it as I have gone through the entire process described in this post but unfortunately I am unable to see the settings as they are mentioned here. I am unable to see the option "ENCRYPTION ORACLE REMEDIATION". Can you help me with that so that I can resume my work? I have windows 7 installed on the remote pc. Where do I do this stuff? I am not a system side guy I dont remember where to set this all. Do you want to go to gpedit again or should I switch to REGEDIT? There is no such thing a Credd SSP\parameter. Easy and Fast instructions.. Thank you..
**Allow Remote Connections through NLA is unchecked. @Samiullah Unfortunately I cannot reproduce and troubleshoot this for you, because all my computer has that option. I am using Windows 7 Ultimate and Windows 10 Pro. What edition of Windows client are you using? 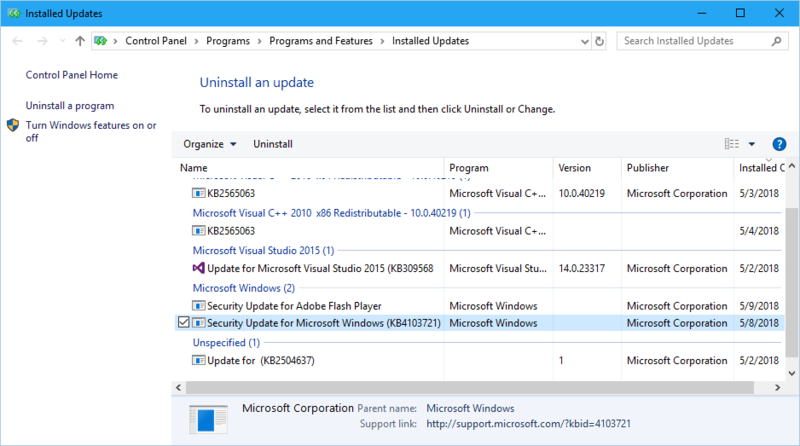 Can you install the latest updates for your client Windows and see if the option appear? @Rome It is "workable" but I strongly suggest not to compromise the server side, but temporarily compromise the client. You should patch the server or ask the server's administrator to patch it. Really helpfull its working for me. I rolled back the update the KB4103727 on both of my laptops that were having the problem since yesterday (5/14/2018). This worked for me. I need a solution for Window 8.1 Users. Please give me some solution. 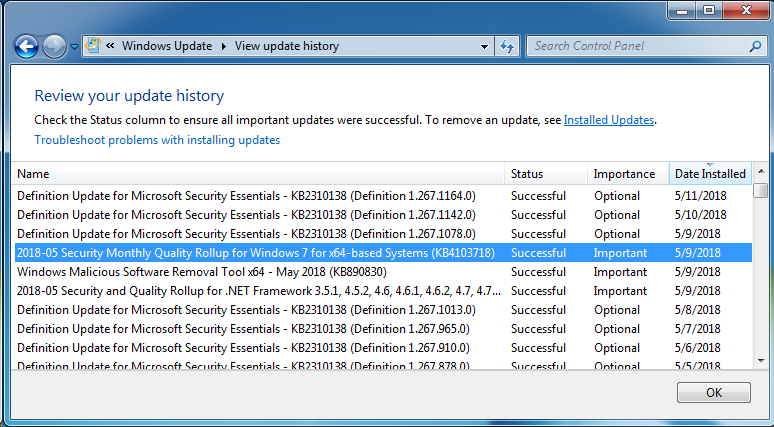 Uninstall the Win - patch KB4103731 to fix this issue. This worked for me. Thanks. Patching now to see if that will alleviate the issue for good. I have had no problems with remote desktop until now. 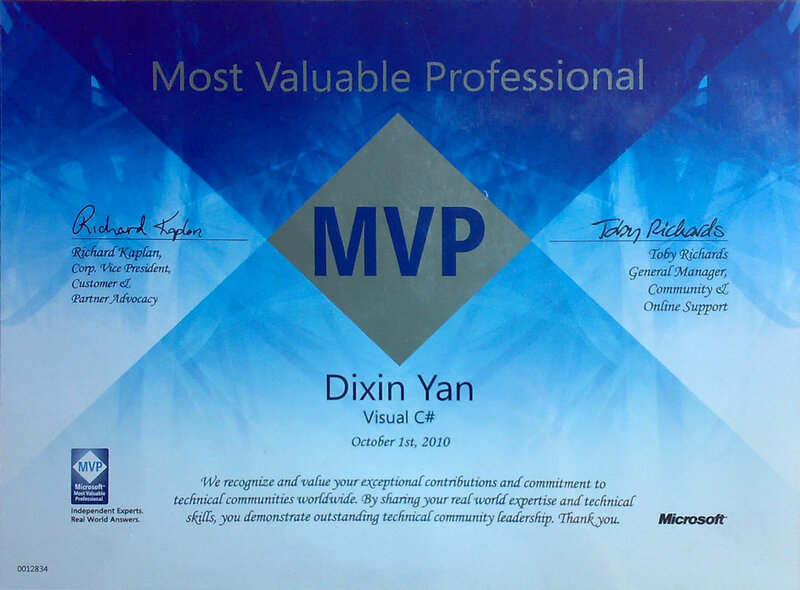 many thanks for powershell - it is working ! Thank you. Best working advice. Unfortunately I think its going to stop working on Friday because Samiullah https://support.microsoft.com/en-gb/help/4093492/credssp-updates-for-cve-2018-0886-march-13-2018 says that a 2nd update on this coming Friday will arrive will change the behaviour to Mitigated. I'm not totally sure I'm correct on this point, read the above link and see if you agree! You can simple do all the registry changes by click on one file. If you are missing the registry key, your system maybe missing patches. 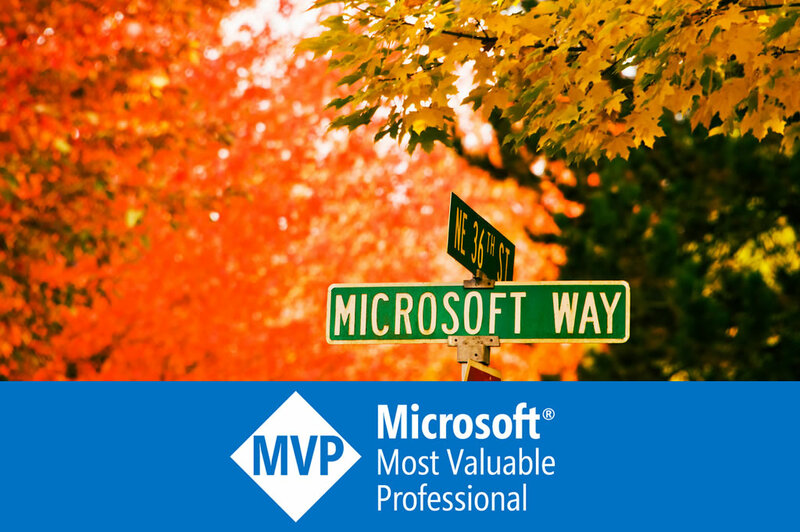 Check for updates related to Security & Remote Desktop Client. 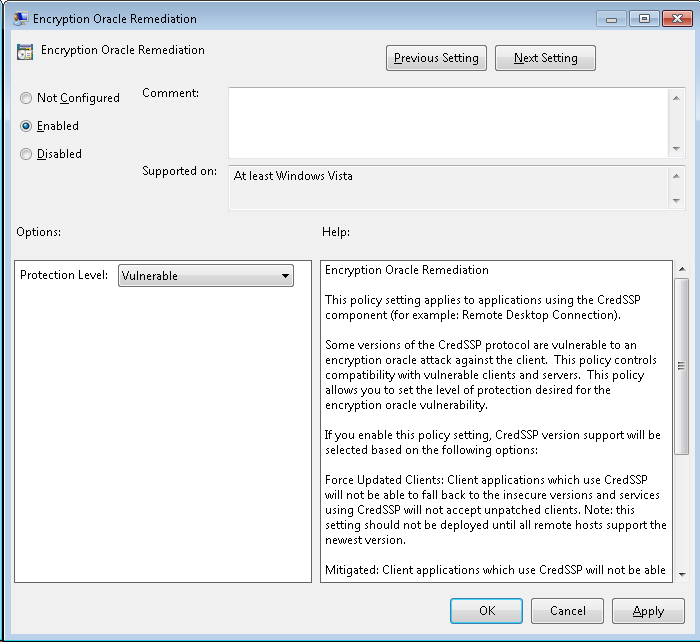 I am unable to see the option "ENCRYPTION ORACLE REMEDIATION" in the group policy. 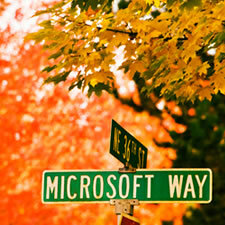 Install Microsoft Remote Desktop from Microsoft Store. Very helpful. Thanks for the informative post. This solution worked for me as well. However, I am unsure if there is any security threat as I am connecting to our corporate PC through my Home PC. If so, then the threat is at which level? I.e., is it at client level or server level? llowEncryptionOracle /t REG_DWORD /d 2 - It will say value already exists, type Y and enter. Thank you so much. It worked for me. Great post, even better than MS. Thanks. I followed these steps from console. 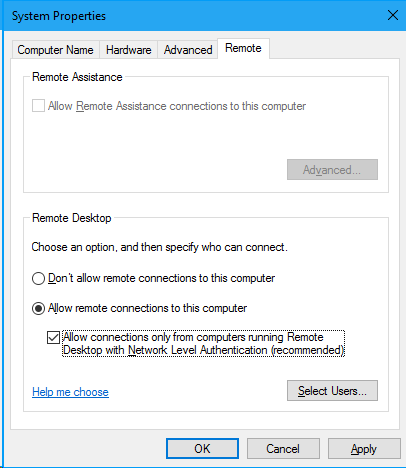 **Unchecked Allow Remote Connections through NLA.